When looking back it really surprised me it was two years since I bought these products. I can see myself stood in Boots deciding what to get and kicking myself for not realising the Sponge was included in the offer. These products were on a buy one get one half price and I remember only wanting three of them but because I'd not realised the sponge was included taking ages to decide on a fourth Rimmel product. 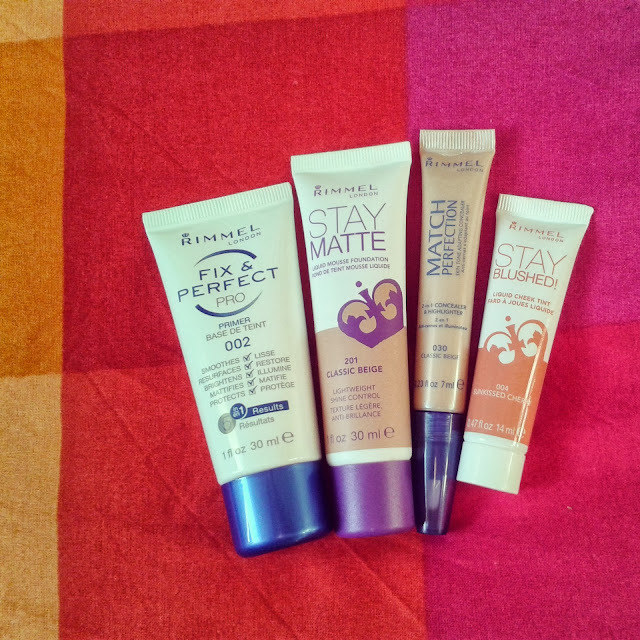 Rimmel Fix and Perfect 002 Primer - This is one of my favourite primers, I've gone through 2 or three of these. I'm not sure if this was my original one but I really enjoy using it. The only one I like better is is the Laura Mericer one but for price difference I would go for this one. I haven't got one of these at the moment as I decided to try a different one from Rimmel, Lasting Finish Primer and I really don't like it. Rimmel Stay Matte -201 Classic Beige - Initially I liked this but feel like the extreme matt and moussy texture gave it a bit of a grey cast which really didn't work with my skin tone. I don't know if a different colour would have been better but it's not something i'm in a rush to repurchase. Rimmel Match Perfect Concealer - 030 Classic Beige - I said in that post that I hadn't used concealer for years and now concealer is a staple. This particular one didn't work for me. 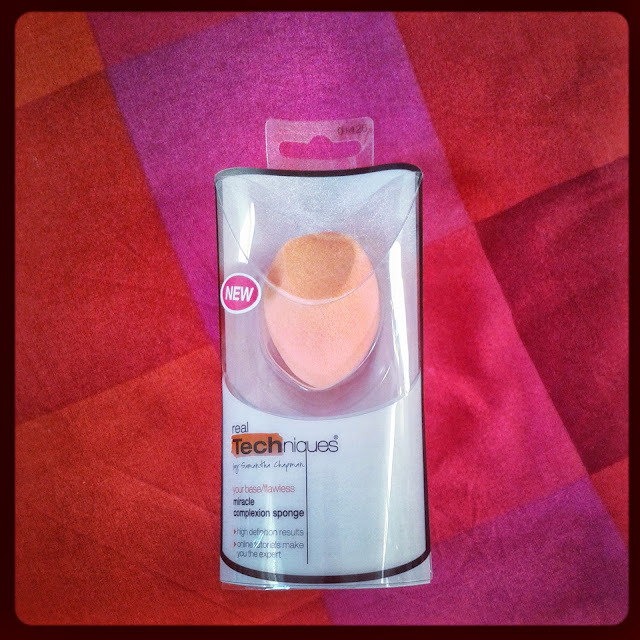 It has a built in brush applicator which I didn't like and I don't remember liking the consistency. My go to one now is from Collection. Rimmel Stay Blushed - 004 Sunkissed Cherry - Another bust for me. This had a mousse texture and very easy to apply too much. I think it's more user error that the product itself. I think I threw this away hardly used. 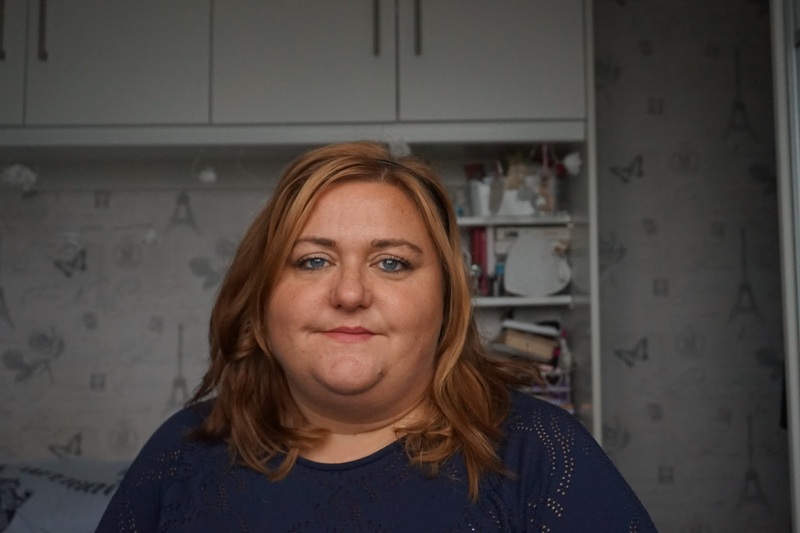 I'm not good with blusher full stop but this one wasn't for me. Real Techniques Miracle Complexion Sponge - I was quite apprehension about buying this as it was quite expensive for what it is and mine split the first time I washed it, however saying that I do still have it and use it. I was sent a second one in a blogger box swap and that one has fared a bit better. I do need to replace it and i'm in two minds about buying the same again or trying something different. Over all it was a bit of a mixed bag 3 out of the 5 items didn't work for me but i'm glad I've tried them and hopefully i'm getting better at knowing what works best for me.